Victorian Building Authority chief executive Sue Eddy says the VBA was pleased to be working with Energy Safe Victoria and Master Plumbers to deliver these training sessions across the state. “This roadshow is the largest plumbing training program ever undertaken by the VBA.,” Sue says. These safety precautions are particularly important as Victorian homes change and become better weather sealed and more energy efficient. 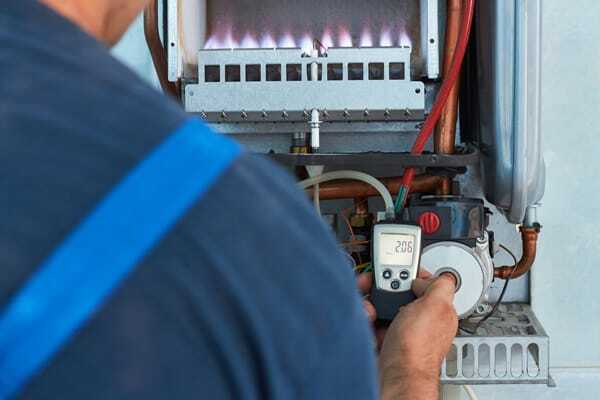 The VBA and ESV recommend that all gas water heaters, space heaters and central heaters are serviced at least every two years by a registered or licensed gasfitter or a Type A serving plumber. As part of the ongoing training for all Victorian gasfitters and Type A servicing plumbers, the VBA along with ESV and Master Plumbers will soon release a short instructional video on negative air pressure and carbon monoxide spillage, as part of its new Carbon Monoxide Safety Program. The video provides a step-by-step guide to conducting a carbon monoxide spillage test, demonstrates how to recognise and combat negative air pressure, and provides safety tips for practitioners who carry out these important tests. Wodonga: Tuesday, 7 August – The Cube, 118 Hovell Street, Wodonga. (5pm-7pm). Shepparton: Wednesday, 8 August – Riverlinks, 70 Welsford Street, Shepparton. (5pm-7pm). Melbourne: Monday, 27 August and Tuesday 28 August: Exhibition Centre, Clarendon Auditorium, 1 Convention Centre Place, South Wharf – 4 sessions per day. Sessions at 7am-9am; 10.30am-12.30pm; 2pm-4pm; 5pm- 7pm.